The rain finally stopped after drizzling for two hours. From our hostel, we walked to the nearest mrt station. The Mrt is probably the fastest way to zip around the city and cost less than taxis. From Farrer Park station, we took a train to Harbourfront station and walk our way to the 3rd level of Vivo City. 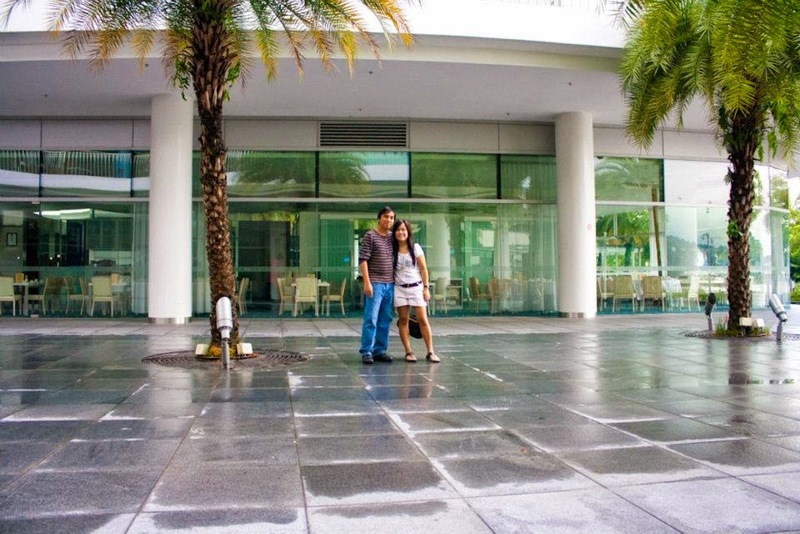 From there, one can reach the park either by foot or train (SGD 4) or by bus (SGD 2). It was an enjoyable walk because every angle is a picture worthy spot. It will take you just 15 min by foot. 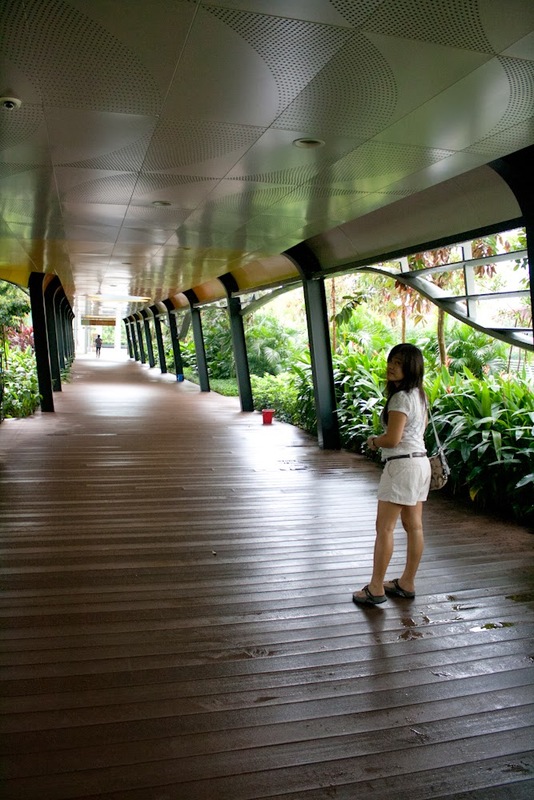 But if you're in a hurry, the quickest way to reach the park is by sentosa express (SGD 4) from level 3 of Vivo city. We arrived at the park 15 min before the opening time. We bought our ticket online for less plus cash rebates that you can use to spend inside the park. The regular ticket price is SGD 74 with lunch coupon and SGD 54 for no meal ticket. Look for any promotions (promo codes) online at a official site for discounted ticket rates. You can get tickets for as low as SGD 54 with no meals or coupons at local agents. The best thing to wear is a nice and light t-shirt and short pants to be very comfortable because you will get sweaty all day. Avoid carrying extra clothes.It would not be comfortable to you. Wear flip-flop is the best that I can advice, as it might get hot till the evening. No need to store your bag in any locker. It would not be a problem. Except for one attraction, The Mummy Revenge. There’ll be a free locker (45 minutes only) that you can use to keep your belonging. Other than that, all the other attractions are allowed to bring along your bags. If you bought your tickets online, be sure to have it print to redeem your actual tickets. 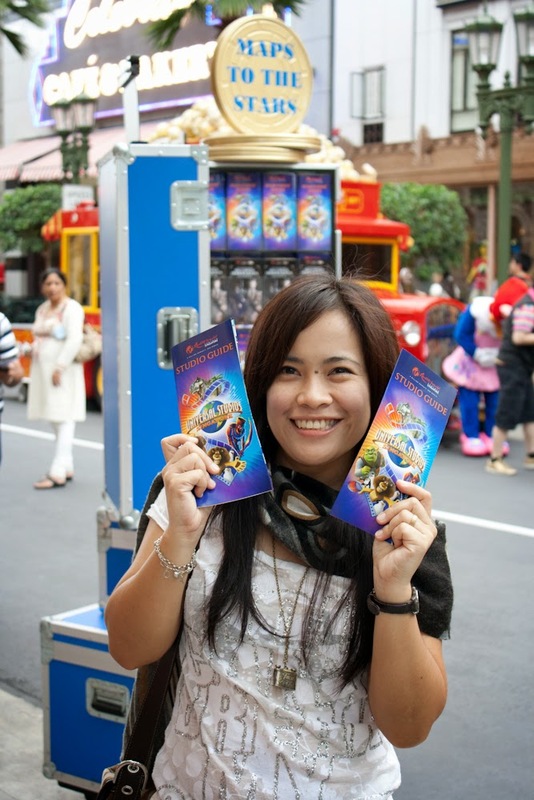 You can buy the tickets directly from the booth at the front gate of the USS. Don’t queue up at the Sentosa Express station. There are a lot of counters there in front of USS. Treasure hunters - The waiting line is 30 min! The ride itself is a 2 min jeep ride in a circular track. Kinda boring. Dino Soarin - This is a flying ride where you “train” baby pterodactyl to fly by pushing the white button at the steering wheel.Good for kids. Magic Potion Spin - Crazy cup ride just like in Disneyland. Shrek 4d Adventure - This is an indoor 4-D stage show, 4-D meaning they also include physical sensory experiences like water spraying onto your face when Donkey sneezes at the screen (and I went “yuck!”). A lot of fun. Revenge of the Mummy - Maybe next time when we are prepared. Got traumatized at Hong Kong Disneyland's Space Mountain hahaha. Battlestar Galactica - Maybe next time too hahaha. Although some rides were closed due to maintenance, nevertheless we had so much fun exploring the park. 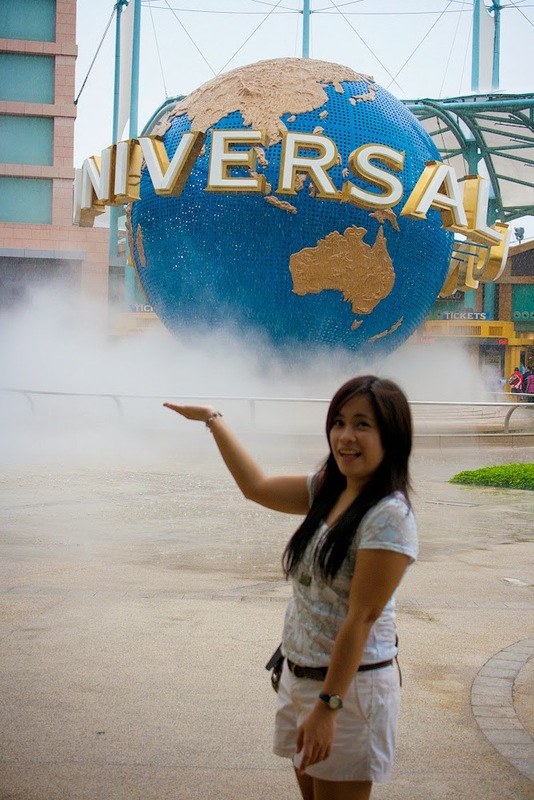 Universal Studios Singapore Tickets - SGD 60 with meals (Mastercard Promotion) / person.